Baking can be an infuriating science, but the advantages far outweigh the headache. Fresh-baked cookies whenever you damn well please? Homemade pancakes to feed your hot date the day after? Girly, indulgent cupcakes in the privacy of your own home? All reasons you should learn to bake. Especially when just starting out, there are many ingredients and pieces of equipment you won’t have, but, with these life-changing baking hacks, you won't need them. Give some of these a go next time you try your hand at baking. You’ll look like a pro -- or at least fake one real well. They're the perfect size for portioning out cupcake batter. Blend 1 cup granulated sugar and 1 teaspoon cornstarch in a food processor until fine and powdery. Sift through a fine-mesh strainer. 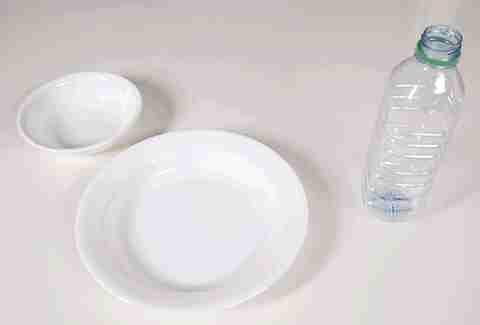 To test baking soda, put 2 tablespoons of white vinegar into a small bowl and add 1 teaspoon of baking soda. If it fizzes immediately, it’s still good. To test if baking powder is still good, combine 1 teaspoon baking powder with ⅓ cup hot water. If it bubbles, it’s still good. Trying to keep parchment paper from rolling in on itself is an exercise in futility. 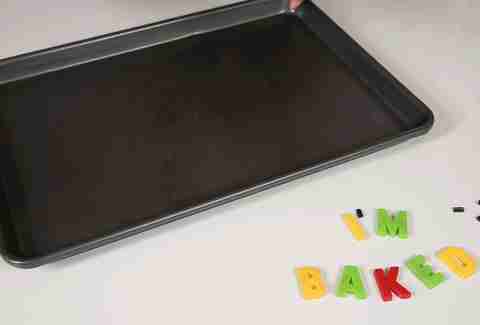 Stay sane and use magnets to keep it planted to the baking sheet. Place cold eggs in a bowl filled with warm water. Let sit until the eggs come to room temperature. 1 cup all-purpose flour + 2 tablespoons cornstarch = cake flour. This also gives you amazing arms. Chill a Mason jar in the fridge. Fill it halfway with heavy cream, add a teaspoon of powdered sugar, seal the lid, and shake vigorously for 2 minutes or until it’s thick and fluffy. For recipes that call for cut butter or folded butter -- like pies, biscuits, and croissants -- grate the butter into the dry mix for the same effect with less effort. Stir together 1 cup milk with 1 tablespoon lemon juice (or white vinegar). 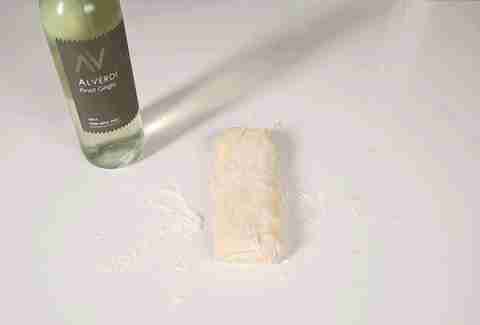 Let it sit at room temperature until thick and slightly curdled, about 10 minutes. Many baking recipes call for butter at room temperature, but that can take at least 30 minutes. Save some time with this cheat. Cut butter into chunks. Fill a glass bowl with hot water. Pour out the water and invert the hot bowl to cover the butter. Let sit for 2 minutes, uncover, and use. Whether they turned out crispier than you like, or they're one day too stale, place a slice of sandwich bread in the cookie jar. The following day, cookies will be soft, chewy, and moist. Use a chilled wine bottle. The cold will also prevent your dough from softening too quickly. Melt 1 cup of sugar with ¼ cup water over medium heat until sugar melts, about 3 minutes. It'll thicken up as it cools. For a moister crumb, add 1 cup of mayonnaise to the batter. 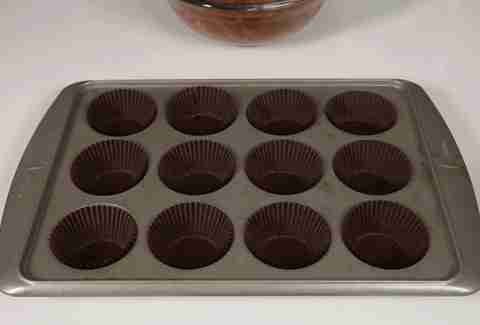 For soft and evenly round cookies, bake them in a muffin pan so they don’t spread out. How to Make Triple Stuf Oreos at Home. TRIPLE. 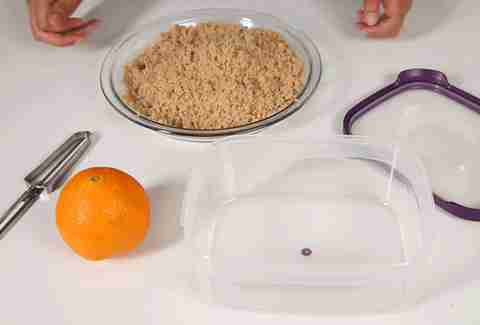 Toss a strip of rind from an orange or lemon in with the brown sugar and seal it in a Ziploc bag or container. It'll stay nice and soft. A slice of bread or marshmallows will also work. Microwave it in a baking dish covered with a wet paper towel for 20 to 30 seconds. Use a fork to break it apart. It'll feel like packable sand once again. Honey, syrup, molasses... whatever sticky substance you measure will slide right out when you spray the measuring cup with cooking spray first. 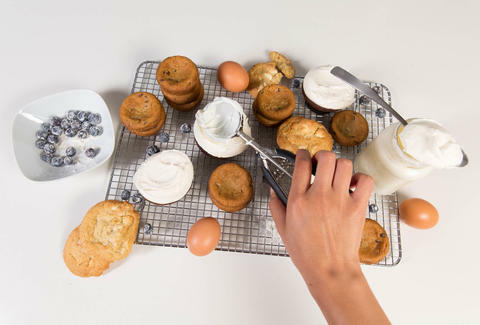 A dash of flour will help blueberries -- or whatever you're throwing in your batter -- defy gravity. The flour makes them stick to the batter and stay suspended instead of sinking to the bottom. Toss berries with a tablespoon of flour before folding them in, but use flour from the recipe -- don't add extra. Break eggs into a bowl. Use an empty bottle to suction the yolks out. Fill a Ziploc bag with frosting and cut the tip off one corner. Squeeze the frosting through the hole and pipe it right onto your treat. For that "Magnolia look," use an ice cream scoop to portion out the frosting onto the cupcake. Then turn the scoop over and use the rounded end to spread it out to the edges, leaving a cute crater in the center.